Viewing roofing contractors as a commodity instead of seeking out skilled tradesmen can be a costly mistake. Shoddy work and low-cost materials can add up to higher maintenance costs and more headaches over the long term if you simply choose the cheapest vendor. When searching for a commercial roofing contractor in Dallas, Fort Worth, Austin, San Antonio, Texas or Oklahoma, particularly a qualified spray polyurethane foam (SPF) installer, be aware that all providers are not equal. You’ll save more in the long run by choosing a proven “performing contractor” – one who has maintained over many years the highest documented levels of satisfied customers and percentages of roofs that never leak. DFW Urethane uses only top-performing products and highly experienced spray technicians. That is why we have maintained one of the highest customer satisfaction ratings in the country, as tracked by the Performance Based Studies Research Group at Arizona State University’s Del Webb School of Construction. It takes a relentless commitment to continuous improvement to stand up to such scrutiny. 1. How many years of experience does the spray technician possess? The technician’s experience will be evident in the final application. DFW Urethane employs four seasoned technicians: one with more than 34 years of experience, while the others bring 13 to 29 years’ experience applying spray foam. There’s no substitute for longevity and loyalty: Two of our technicians have been with us for more than 25 years, and the other two have spent their entire careers in spray-applied urethane foam roofing with DFW Urethane. It’s dedicated and experienced workers that make for guaranteed results every time. 2. Is the contractor bonded? 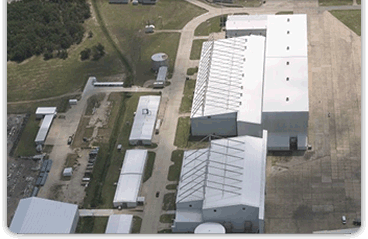 DFW Urethane can bond jobs for up to $6 million. The only way to obtain bonding at this level is to have a proven track record of successful, problem-free jobs in your portfolio. DFW Urethane has excelled in delivering what we promise, which has earned us an impressive list of satisfied customers. 3. How thick will the SPF coating be? Make sure that the quote for your spray polyurethane roof defines the thickness of the foam, as well as the number of gallons per square of coating. It’s also important to note the type of coating that will be used. In addition, a reputable contractor will include the services of an outside roofing inspector in their estimates. Doing this ensures that you receive the proper thickness of sprayed foam and coating. DFW Urethane will gladly include the services of an outside inspector on any of our jobs. 4. What type of warranty comes with your new roof? DFW Urethane is a manufacturer-preferred contractor. This means we can provide you with a written warranty directly from the manufacturer if desired, in addition to our own Leak-Proof Warranties. 5. Does the contractor have verifiable references? Ask the contractor to show you three roofs that are at least five years old. If they can’t show you any, be wary! This is a red flag that you’re not getting the experienced and knowledgeable SPF provider that will provide long-term performance and value. 6. What kind of people employed by the contractor will be on your property? All of DFW Urethane’s employees have undergone criminal background checks through a U.S. Department of Defense contractor and have been cleared to work. In addition, all of our employees are legal U.S. citizens. 7. What level of training have employees undergone? At DFW Urethane, all employees receive extensive, ongoing training in-house, and also participate in training provided by product manufacturers and industry associations, including Honeywell, BASF, Bayer Material Sciences, LaPolla, Neogard and the Spray Polyurethane Foam Alliance (SPFA). DFW Urethane has a well-earned reputation for getting the job done right. Not only do we have a consistently high customer service rating, we have decades of experience in the field. We know the products inside out; we store and apply them under optimal conditions; and we use only the best equipment. Contact us today to learn more about the DFW Urethane difference. We are experts in our field.